If you have never worn sun visor hats then it is likely that you are gambling with your looks, your health and even your life. The reason for this statement is the fact that medical experts advise that a person should wear a sun hat to head off the worse that prolonged exposure to sunlight can cause. 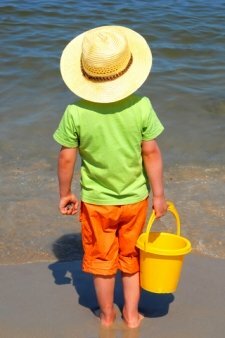 If you are thinking that you are safe because you wear normal hats or caps, then you need to think again because these hats are not really that useful in cutting off sunlight. For proof of this, all you need to do is remember the number of times you have felt warmth at the back of your neck or had to wear sunglasses on top of your hats or caps. The sensation of warmth and the need to wear sunglasses mean that your cap is not really blocking off sunlight. This is why special visor hats are required. What can happen if you ignore wearing these hats? By not wearing sun visor hats, you are putting yourself in the way of a lot of danger because prolonged exposure to sunlight can lead to some major health related issues. Some examples of problems caused by prolonged exposure to sunlight include melanoma, also known as skin cancer, and macular degeneration which is the loss of eyesight. Apart from these, lack of proper sun protection also means premature ageing of the skin and even deterioration of the quality of your hair. The answer to why prolonged exposure to sunlight can do all this to you lies in the composition of the sunlight. A good deal of sunlight is made up of UV rays or ultraviolet rays which have been scientifically proven to be carcinogenic in nature. Therefore, the fact that you have been ignoring proper UV protection by using ill equipped hats makes you very susceptible to suffering from all the problems listed above. Why are these hats better equipped to counter sunlight? 1. The materials that these hats are made up of are specifically treated to be able to deal with ultra violet rays. In fact, some variants of these hats are even able to block off around 98 percent of the ultra violet rays from the sun. These hats come with a UPF or SPF rating of 50+. 2. 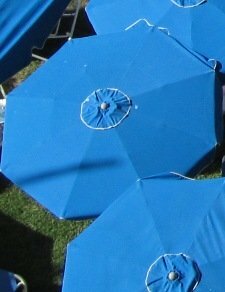 Furthermore, these types of hats are explicitly created for this purpose which means that their shapes are particularly designed to block sunlight. In practical terms, you will always find these types of hats to have wide visors or brims and, sometimes, even curtains. Protection from the adverse effects of the sun is very important for your well being in the long term. Therefore, apart from sunscreens, you should use sun visor hats to supplement your goals.